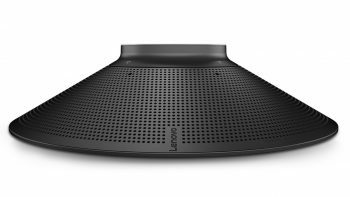 Lenovo have announced the ThinkSmart Hub 700, adding the next in the series to their portfolio of meeting room devices. Aimed at solving issues such as poor audio, unreliable connectivity and messy cables, the ThinkSmart Hub 700 features premium Dolby Audio speakers with four noise-cancelling microphones, and connects easily into Skype for Business, Zoom, BlueJeans and more. The Lenovo ThinkSmart Software platform provides IT administrators with an extensive web-based management console, enabling remote control and management of devices, simple software updates, maintenance and servicing and metrics of room health and readiness for ensuring excellent uptime of technology across the organisation. The ThinkSmart Hub 700 was announced at Infocomm 2018, and will be coming soon to the UK markets. To discuss the Lenovo ThinkSmart Hub 700, audio and collaboration devices for the meeting space, and solutions for improving collaboration in your Zoom Rooms, Microsoft Skype for Business environments and other Video Conferencing and Collaboration spaces, get in touch today.